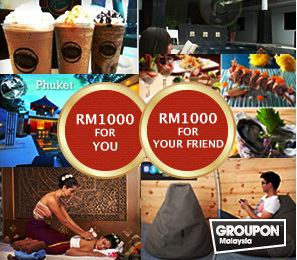 RM1000 worth of Groupon credits for you & RM1000 worth of Groupon credits for the friend you referred. Go to the contest page. Don't tell me you're STILL missing out on high speed broadband... Are you UniFied yet?